Something to look forward to: As CES 2019 is right around the corner, Samsung has begun sharing some of its next generation TVs that will be on display. Moving past LCD, The Frame and The Serif TVs will be shown with QLED panels. Instead of trying to hide a TV as LG is doing with its rollable displays, Samsung is aiming to make them integral pieces of artwork. The Frame and Serif TV will both be on display at CES 2019 with QLED panels. The Frame hangs on a wall and packs all the expected smart functionality of a modern TV, but doubles as a large format digital picture frame instead of being turned off. Samsung's Serif TV is a standalone piece of home décor featuring a long legs and styled bezel. Although probably not a real selling point for any consumer in existence, The Frame also ships with Bixby as a digital assistant and voice control mechanism. 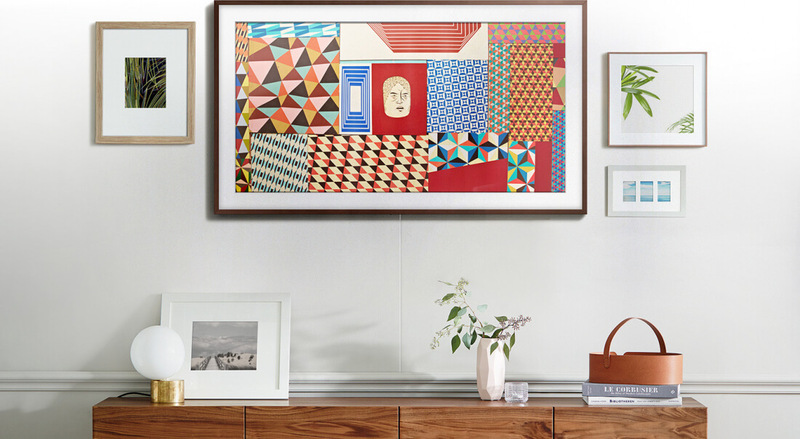 Over time, Samsung has been building up partnerships to bring even more artwork to The Frame. In the Art Store, works from the Van Gogh Museum in The Netherlands, Uffiziz Galleries in Italy, and Te Papa in New Zealand have all been added. As a means of blending in, the 2019 Serif TV with QLED has Ambient Mode. This feature displays news headlines, weather updates, or selected imagery instead of turning the screen completely off. Previously, The Serif TV has only been available from furniture stores and select department stores. Given the upgrade to QLED, Samsung will also be selling The Serif TV along side its regular lineup at electronics retailers. Detailed information on pricing and availability should be announced early next year.